I've been spending a chunk of time reading and thinking about the jobs of the future, where we are and where we are going. There are waves of change about to come: the impending tech avalanche that will displace some current jobs, the new jobs that are coming, and the wave of new workers who are about to be connected to the Internet. What does that mean for us? And what does it mean if we are not savvy enough to be up with the transforming tech? Will we have a world of haves and have nots? And how does education feature in this world? Any thoughts on this, feel free to reply to discuss. I'd be very interested in your thoughts. "Consumers bought more than 1 million electric vehicles last year, an increase of almost 60 percent from 2016, even as global car demand turned lower. China, with an aggressive green vehicle policy, accounts for almost half of worldwide electric passenger-car sales. The average price of lithium ion batteries, which account for almost half a car’s cost, has dropped from $599 per kilowatt-hour to $208 per kWh over the past five years. Drivers now have almost 600,000 charging outlets globally, of which more than half are in China." "The increased importance and complexity of the internet has also brought new issues to light. What level of encryption should be standard on the internet, if any? Or what security practices must a company take to ensure customers’ data is safe? What kind of privacy can be expected when entrusting personal information to companies online? How can companies enforce digital rights management, or crack down on piracy? " "Today’s A.I. programs can recognize faces and transcribe spoken sentences. We have programs that can spot subtle financial fraud, find relevant web pages in response to ambiguous queries, map the best driving route to almost any destination, beat human grandmasters at chess and Go, and translate between hundreds of languages. What’s more, we’ve been promised that self-driving cars, automated cancer diagnoses, housecleaning robots and even automated scientific discovery are on the verge of becoming mainstream. " 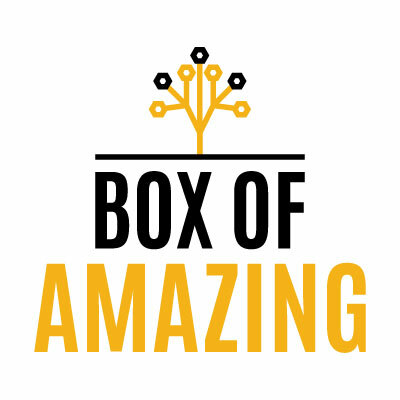 Box of Amazing is a project that I started to share my thoughts with like-minded individuals who are interested in the future world that we are fast approaching. The numbers of subscribers are growing quickly from all parts of the world. If you enjoy it, please share it with your friends, family, co-workers, enemies, competitors, pets, potential love interests and others who are interested in learning about emerging technology and trends that will affect us all in this lifetime. P.S. Are we connected on LinkedIn?